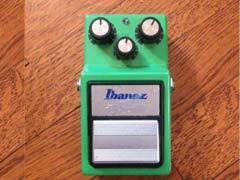 Ah, the venerable Ibanez Tube Screamer. 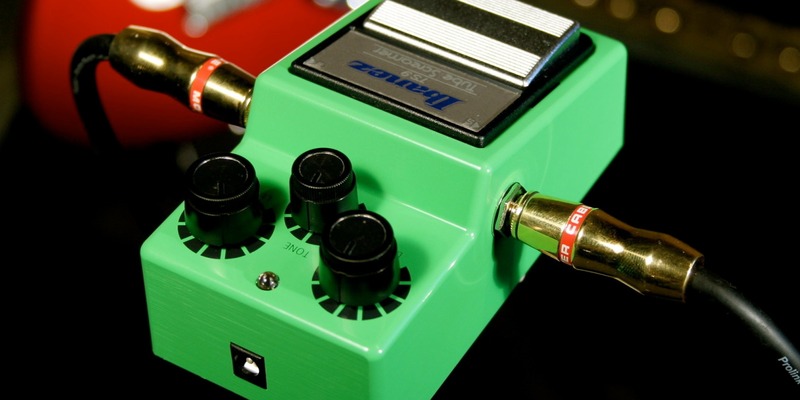 This effects pedal rightly deserves the title “Overlord of Overdrive.” And this writer can hardly forget that day in the early 1980s when he received one of those minty green pedals as a birthday present, a TS9. Since then, dozens of distortion boxes have come and gone from the proverbial pedal rack, but Tube Screamers are still in demand, a testament to their staying power as stomp boxes. What’s more, it doesn’t hurt to count famous players such as The Edge, Kenny Wayne Shepherd and the late Stevie Ray Vaughan among Tube Screamer-lovers. 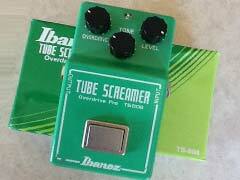 But when you say “Tube Screamer” today, the question arises: exactly which pedal are you talking about? The Screamer has gone through so many iterations and tweaks — some of them not so sweet — that it can be hard to sort them all out. With my beloved TS9, I sent it off to AnalogMan (a.k.a. 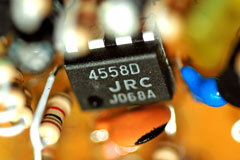 AnalogMike Piera) to ensure it had the right chips under the hood, particularly the JRC4558D. You don’t have to be an electronics whiz to know that this chip plays a big role in the original Tube Screamer’s creamy sound. 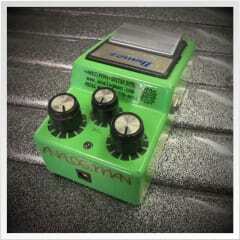 AnalogMan is the original modder of Tube Screamers, and AnalogMike is as much an authority on the pedal as anyone you’ll meet. Professor Tube Screamer, if you will. He also makes his own boutique pedals that have won deserved praise from all corners of the music world. From his workshop in Bethel, Connecticut, AnalogMike took time to walk us through the history of this beloved pedal. He knows enough to write a book, so what you’re reading here is a brief history meant for novices and pedal experts alike. 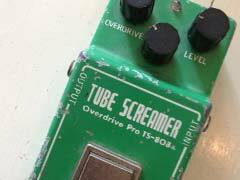 Reverb: How did the original Tube Screamer make its mark as an overdrive pedal? AnalogMike: The Tube Screamer was one of the first pedals to add just a little overdrive, while preserving your tone pretty well. It also works really well with a band, as it reduces your low end to avoid flabbiness that a lot of amps have. It makes your guitar cut through well, and avoids colliding with the bass player's frequency range. 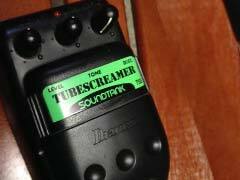 R: With nine or so different issues of the Tube Screamer line since 1979, what’s the quality range between different models? AM: There have been some dogs on the TS range. They all sound great but the build quality on some is really bad. The TS9 and TS808 are the best built: all hand wired inside with no proprietary parts. They are made like a boutique pedal, so anyone can fix them and they can be kept running forever. But the TS10, TS5, and TS7 are not well built, more of a factory-built pedal. The jacks, pots and switches often fail and can't be easily fixed, so they are pretty much disposable pedals. 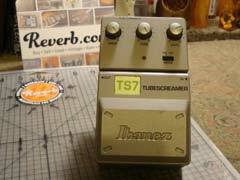 R: The first two Tube Screamer models, the TS808 and the TS9, were so popular that Ibanez reissued both. Are there any discernible differences in quality between the old and new versions? AM: The reissue TS9 and TS808 are almost identical to the originals. They have not been built quite as well for a while, as the company that now builds Maxon pedals doesn’t make them anymore. But it's not a big difference. Most of the reissue TS9 pedals can be improved with the correct vintage spec JRC4558D chip, and then they can easily be modified to TS808 specs. 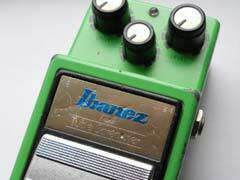 R: How big of an influence did the Tube Screamer have on the world of overdrive pedals? AM: Most boutique overdrive pedals are based on the Tube Screamer. But a lot of them are not trying to get the original sound; they add more low end—which usually makes them worse—and different clipping types and drive levels. That can make them sound very different from a Tube Screamer, with bigger, more distorted tones. 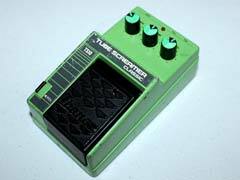 R: What’s a good way to describe those pedals that have branched off from the Tube Screamers? AM: Many of these say they are Dumble-sounding pedals. The expensive overdrive pedals with swirly paint jobs sound great. But you can get the same thing by changing a few cheap parts in any Tube Screamer, or even the new Electro-Harmonix East River Drive. We helped EHX to develop the ERD to be exactly the same as a TS808, with no alterations except true bypass. If you want a cheap Tube Screamer [clone] that can be upgraded to boutique specs if desired, that's a great one for the price. 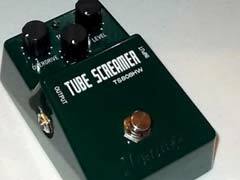 R: Are there any unsung heroes in the Tube Screamer family or its offshoots? AM: The ERD might be the underdog, though a TS5 sounds great for really cheap; if you don't touch the jacks or switch much it could be worth it. 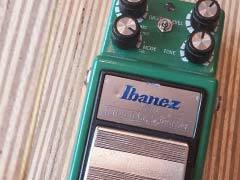 TS10 pedals used to be really cheap until John Mayer started using them. Get a TS5 before someone big puts one on his board!